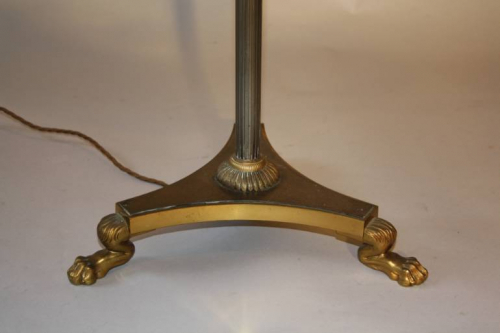 An elegant French 1950`s telescopic floor lamp in gilt bronze and nickel coloured metal. Adjustable to various heights depending on requirement. Stylised lion paw feet. PAT tested and certified for UK. Black shade included in price.